I'm looking for volunteers who might be able to help in my campaign for a better Westgate in the local council elections, by doing some leaflet deliveries before May. If you think you can help, I'd be very grateful and just send me an email and I'll reply with more details. 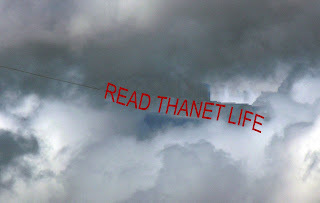 I don't know why but I just want to see the words "drink beer" after "read thanet life" on your banner. Er, not likely Simon. Nothing personal but my vote is going against the current administration. Stuart my view as a long time resident is that the as far as TDC is concerned we need to get rid of the last of the old boy network on both sides. Thats the first thing. I am no Ezekiel lover but he and the current lot have spent a few years now trying to undo the craziness that ocurred during the last labour administration. If you were here then surely you dont want a return to those days? Unless of course you are one of the minority groups sure to benefit out of all proportion to your needs from the supporters of Tony's barmy army. Isn't it enough for you that we will probably get Brown as the next PM with all that entails? Lets not have them back at local level as well. Been there, got the injuries, still wearing the bandages. I thought I recognised the chap who pushed the Sadscene through my door this morning. Good on yer, Simes, for going out and raising a bit of extra cash for the area! The last administration is not responsible for the current state of our high streets, particularly Margate, nor are they the ones responsible for not standing up to developers and protecting our biggest tourist attraction, Dreamland. My opinion is that this administration are giving way to developers all over the island, neglecting our deeply rooted tourism industry and then telling us that we need to embrace change. I agree, but not the same kind of change. It's not as simple as that.. I wish it was Stuart. The developers hold most of the cards in regard to the planning regulations from the ODPM and while the local council might wish otherwise, there's nothing they can do in blocking a great number of the developments. Tourism needs improving and rest assured I will be on the case if I'm elected! Is that siting on the case at Gatwick? Which is what most tourists do it seems. the customer is never wrong? I think you mean "Sitting" with two "tt"'s David? Would a change of "ownership" at the council be better for Thanet. I certainly believe it wouldn't be, regardless of what has happened over the last five years. I would expect you to say that though, Simon. I think change would be good for Thanet. The effects of the mistakes that have been made over the last few years are glaringly obvious for all to see. Policy T11 (now T8?) 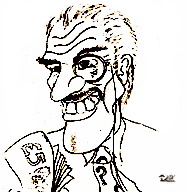 for example has caused serious degeneration in Margate. Look at the Arlington arcade - now 90% vacant. 4 years ago this was 90% occupied! Policy T11 was voted in by Conservative members and voted against by Labour members. Then there is Westwood X - prior to this Margate High St was pretty much full, now fairly sad and desolate. Of course there are many other issues but as a true Thanetonian, even through my rose tinted glasses I blame the current administration and their policies for the downfall of what should be the jewel in Thanets crown. It's on this basis that I will use my vote against the blue team in May!!! Stuart - Do you believe that the sitting councillors in opposition could do a better job of running Thanet or are you choosing to use your vote to protest and register an objection? That may be the basis of a decision for many others and then others, like me, have decided that the best course of action is to become involved directly and try and make things better through more direct involvement. What I described as "Sanity checking" decisions in a recent conversation. anyone know who's standing for who? If the tactics of Labour against Roger Latchford didn't convince the electorate that they would be disastrous for Margate, then nothing will. Is this really what the people of Thanet want - a council run by sleazy councillors who will stoop to any level to attack the Conservatives in order to score points ?